Today on Green Car Reports: We show you what's coming up in green cars at this week's Frankfurt Motor Show, Chevy thinks about plug-in pricing, and German luxury diesels are adding start-stop to save even more fuel. All this and more on Green Car Reports. We've updated our preview of the green cars at the Frankfurt Motor Show, which takes place this week. Chevy seems to think that $35,000 is the highest price for an electric car that will earn it volume sales; do you agree? Nissan showed prototypes recently and said it plans to offer autonomous cars by 2020. 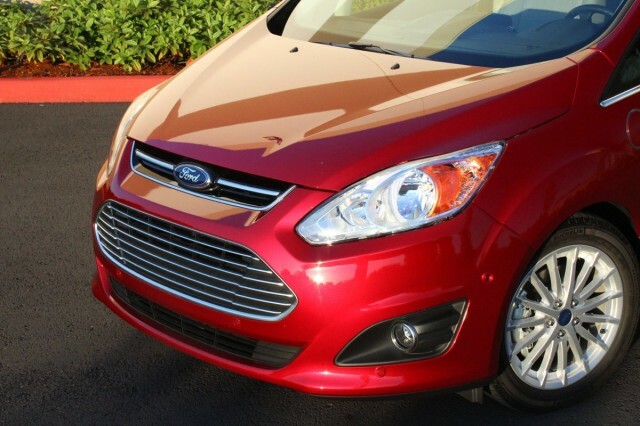 The Ford C-Max Hybrid may fall short of its EPA ratings in real-world use, but its sales are booming anyhow. The electric car maker named after the Motor City won't be making its first cars there after all; it'll make them in the Netherlands. The latest German luxury diesels are adding start-stop technology, sometimes to the surprise of buyers. We ask whether the upcoming BMW i3 and i8 electric cars are just too much of a stretch for the "Ultimate Performance Machine" brand. Nissan plans to put its second battery electric vehicle, the e-NV200 small commercial van, into production next year. While U.S. sales of plug-in electric cars crossed 10,000 in a single month for the first time ever--but Canadian sales remain low.